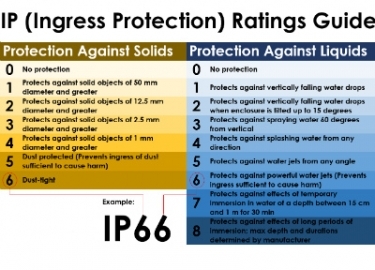 Ingress Protection (IP) ratings are important for determining the safety and waterproofing level of outdoor electronics equipment, but how do you explain them to customers? Ingress protection ratings (IP ratings) are a vital part of picking the right outdoor A/V device for an install. While some clients may be somewhat familiar with IP ratings related to their smartphone, they may not know the specifics of common ratings like IP55, IP65, and IP67. Each IP rating consists of two digits. The first digit represents the device's intrusion protection, or how well the device protects against solid foreign objects like dust or bugs. If this number is low, it likely means the device's enclosure isn't well protected from outside elements. The second digit represents the device's liquid protection (usually water). If this number is low, it likely means the device's enclosure cannot effectively keep liquid away from the sensitive electrical components of the device. In either case, if the number is too low integrators should try and steer their customers away from those products and instead suggest higher IP rated options that should not have any difficulties functioning outside in the long term. 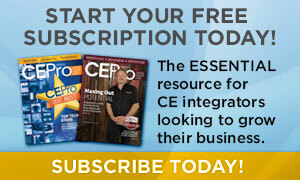 Todd Mares, director of emerging technologies for Peerless-AV, says there are simple ways to explain an IP55 rated piece of technology to a customer. 1: Protection from a large part of the body such as a hand (but no protection from deliberate access); from solid objects greater than 50mm in diameter. 2: Protection against fingers or another object not greater than 80mm in length and 12mm in diameter. 3: Protection from entry by tools/wires with a diameter of 2.5 mm or more. 4: Protection against solid bodies larger than 1mm. 2: Protection against water droplets deflected up to 15-degrees from vertical. 3: Protected against spray up to 60° from vertical. 4: Protected against water spray from all directions. 6: Protection against strong water jets and waves. 7: Protected against temporary immersion. 8: Protected against prolonged effects of immersion under pressure. IP65 Enclosure: IP rated as "dust tight" and protected against water projected from a nozzle. IP66 Enclosure: IP rated as "dust tight" and protected against heavy seas or powerful jets of water. IP67 Enclosure: IP rated as "dust tight" and protected against immersion. IP68 Enclosure: IP rated as "dust tight" and protected against complete, continuous submersion in water. Mares also reviewed several other key areas to discuss with clients about outdoor A/V equipment selection like brightness levels and maintenance. For brightness, integrators may want to mention the nit level differences between indoor and outdoor displays. Typically, indoor displays hover in the 200-300 nit range, while outdoor displays average between 400-500 nits. “When you get to the outdoors, you need a display that’s at last two to three times brighter than an indoor display," says Mares. It's also important to discuss expected maintenance and durability of outdoor A/V products with customers. 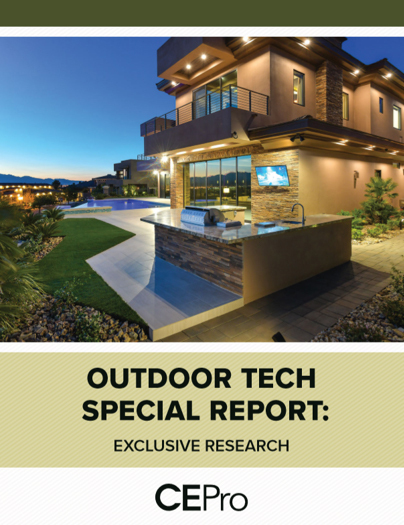 Integrators should highlight the fully sealed design of most outdoor products and how they are relatively low-maintenance, meaning customers won't have to worry about filter materials being replaced or cleaned regularly.